Using screen mirroring is easy - just press and hold the “Home” button on the Alexa Voice Remote and select the mirroring option. 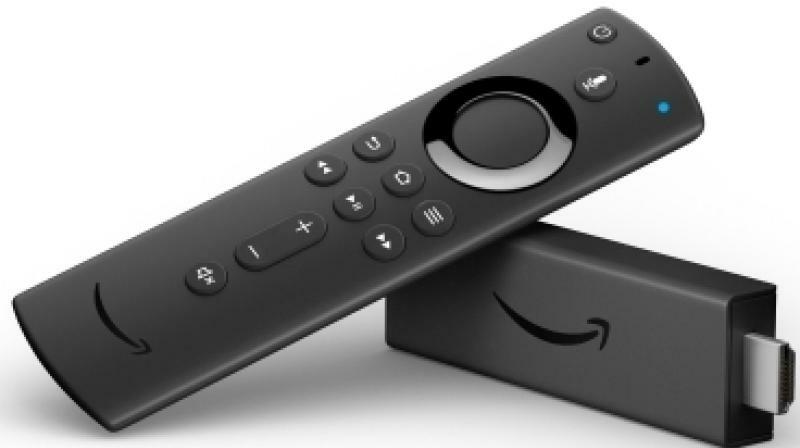 Amazon announced that the latest software update rolled out for the Fire TV Stick 4K enables screen mirroring, one of the top requested features by customers. This update allows customers to seamlessly mirror their personal devices and is enabled as soon as they update their device with the latest software version. Screen mirroring was available since launch on the Amazon Fire TV Stick with the All-New Alexa Voice Remote. The Amazon Fire TV Stick and the Fire TV Stick 4K connects to any TV with an HDMI port and stream all your favourite TV shows, movies, music, launch and view various content streaming apps, all by just asking Alexa on the new Alexa Voice Remote. The all-new Alexa Voice Remote for Fire TV lets you control your complete entertainment experience and helps you quickly find the content you want, using your voice. Just say, ‘Alexa, find comedies’, or ‘Alexa, play Mirzapur.’. The Alexa experience on Fire TV is always getting smarter with new Alexa skills and voice functionality. View live camera feeds, check sports scores, order food, book a cab and stream millions of songs using your remote. With the Fire TV, customer can continue to enjoy their favourites from Prime Video, Hotstar, Netflix, Sony LIV, Zee5, Voot and others. The Firefox or Silk browsers help customers visit millions of websites like YouTube, Facebook and Reddit. Customers can also listen to songs, playlists, live radio stations, and podcasts through services like Amazon Prime Music, Saavn, Gaana and TuneIn. Just ask, ‘Alexa, play Arijit Singh songs’ on your Alexa Voice Remote.